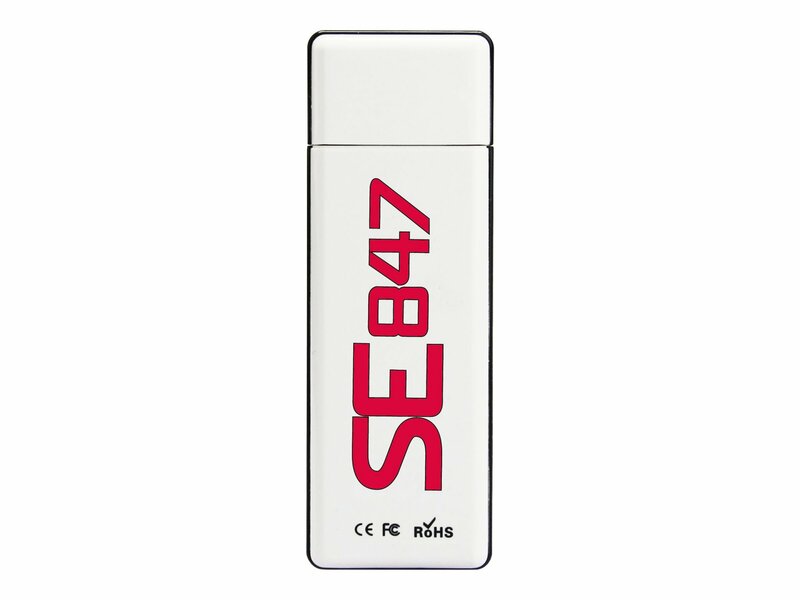 Exclusive to CDW, the SE847 Secure USB Flash Drive is an enterprise-level portable storage solution. 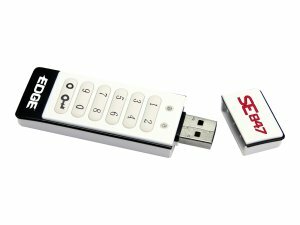 Using government standard 256-bit AES hardware encryption, the SE847 Secure protects 100% of data against unauthorized access. Access to the device requires a user-defined password (PIN) to be typed in using the drive's built-in keypad and is untraceable by hackers. All personal data is erased if a PIN is entered incorrectly ten consecutive times adding an extra layer of security. 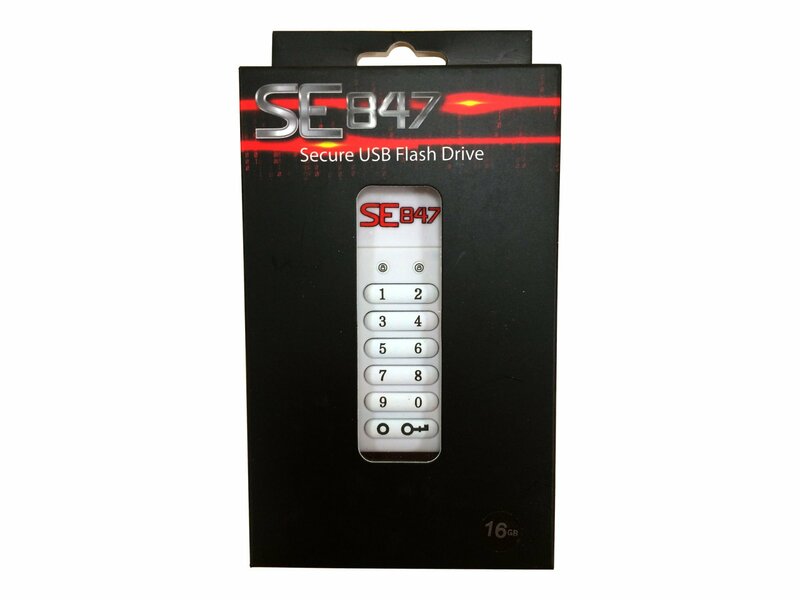 There is no software to install, no admin rights required for use, and the SE847 Secure works with Window's, MAC OS X, and Linux environments. *Please visit www.edgememory.com/warranty for complete warranty details. 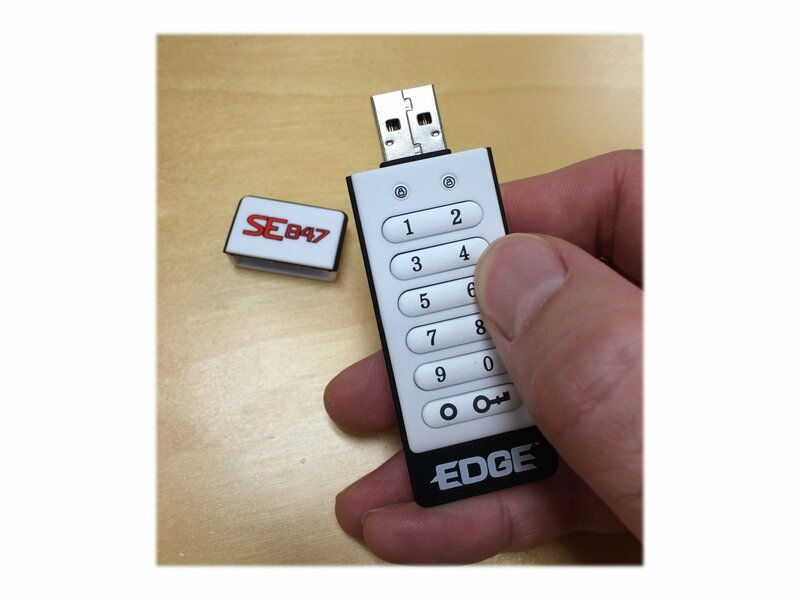 3.09" x 0.98" x 0.43"
The SE847 product line is exclusive to CDW and available for purchase only through CDW. If you have questions or need additional assistance, please call us at (800) 259-8989. 1. How do I set up and use the DiskGO Secure flash drive? For detailed setup instructions, please download the Quick Start Guide from the Downloads section of this product page. 2. How do I encrypt files using the DiskGO Secure Flash Drive? The DiskGO Secure Pro utilizes mandatory encryption, securing 100% of stored data. Any files saved to the device are automatically encrypted and require a password to access. It is not possible to store unencrypted files to this device. 3. What are the password requirements for the DiskGO Secure Flash Drive? As an increased security measure, the DiskGO Secure Pro requires strong passwords that adhere to the following: Passwords must be between eight and sixteen characters and contain at least one uppercase, lowercase, and numeric character. 4. I forgot my password – how do I retrieve my files? There are no hints or back doors available to retrieve a lost password. It is imperative that your password is remembered. If your password is difficult to remember, it is recommended that you write the password down and store in a safe place. If you lose your password, you must reset your device. Important: this will perform a format and subsequently erase all data saved. To reset, you must input a wrong password eight consecutive times. After resetting the flash drive, you must go through the setup procedure to begin using the DiskGO Secure Flash Drive again. 5. What operating systems support DiskGO flash drives? 6. I get an error when I disconnect my DiskGO flash drive from a Mac. Why does this happen? You must first “eject” the drive labeled “SECURE” before logging out. The Mac will consider this a “safe removal” of the drive and will not produce the error when unplugging the DiskGO. 7. In Windows, what is the proper way to disconnect my DiskGO flash drive after I have finished using?